One of our Forum Members, Aaron Hexamer, has created a Frequency Response Analysis Tool. 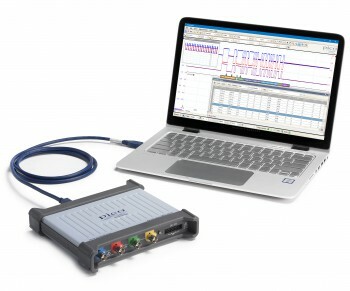 This application provides Frequency Response Analysis (FRA) capabilities for PicoScope devices. The FRA uses a common technique of frequency sweeping (in this case stepping), and DFT extraction. The main output is a Bode plot of gain in dB and phase in degrees.